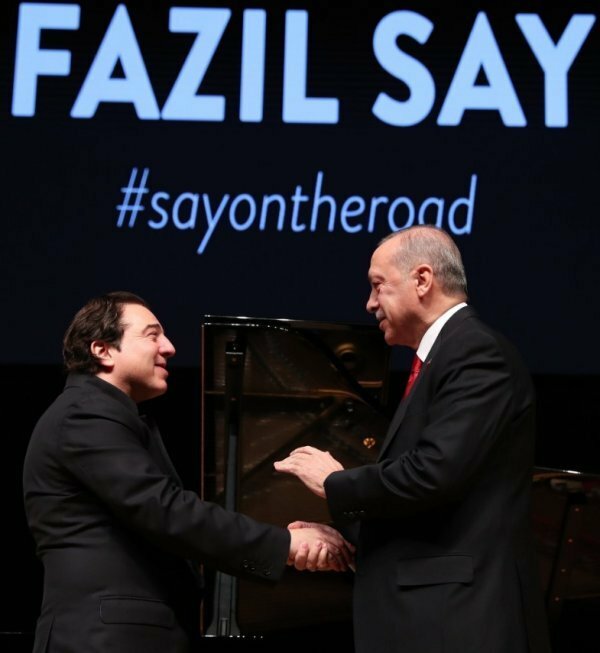 President Erdoğan attended a concert by Turkish pianist and composer Fazıl Say in the capital Ankara on Friday. 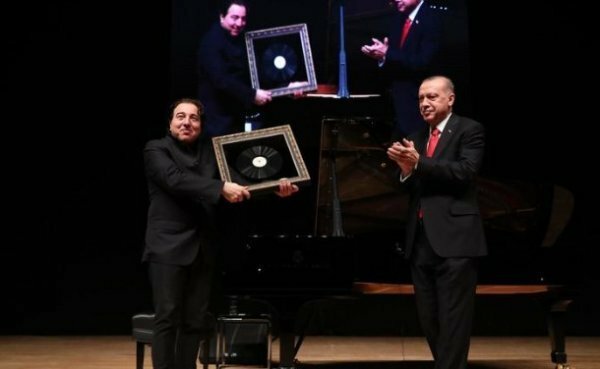 President Recep Tayyip Erdoğan has taken up the invitation of one of Turkey’s greatest pianists and composers, Fazıl Say, to attend his concert on Friday. The famed Turkish pianist had invited Erdoğan to his concert after the president expressed his condolences over the death of Say’s mother. 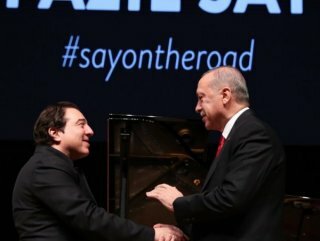 The world-famous pianist thanked Erdoğan for attending his concert at the ATO Congresium in Ankara before performing his new composition, “Trojan Sonata”, to a packed audience. First Lady Emine Erdoğan was also in attendance, as a special guest. 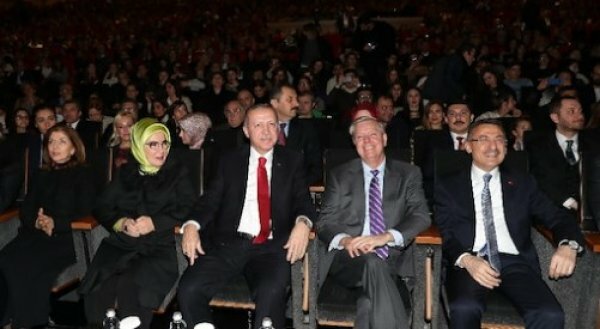 Republican US Senator Lindsey Graham joined Erdoğan for the concert, shortly after a meeting in which they discussed regional issues and bilateral relations. As he took the stage, Say said tickets for the event had sold out three months before the concert. "I think this is one of the most exceptional nights of my life," Say said at the concert. "I hope you are thinking the same." Foreign Minister Mevlüt Çavuşoğlu, Trade Minister Ruhsar Pekcan, Culture and Tourism Minister Mehmet Nuri Ersoy, Interior Minister Süleyman Soylu, Defense Minister Hulusi Akar and Education Minister Ziya Selçuk attended the concert with Erdoğan.